From Chinatown to Brighton Beach, there are numerous culturally vibrant neighborhoods in New York's melting pot. Every culture has their own customs and in order to respect the community, you should read about them before you visit. All kinds of people live in Brooklyn, and some of the best people-watching is in the borough's Hasidic Jewish neighborhoods, where people dress with Amish-like modesty and observe different social norms. Here are some tips to keep in mind when visiting a Hasidic community. 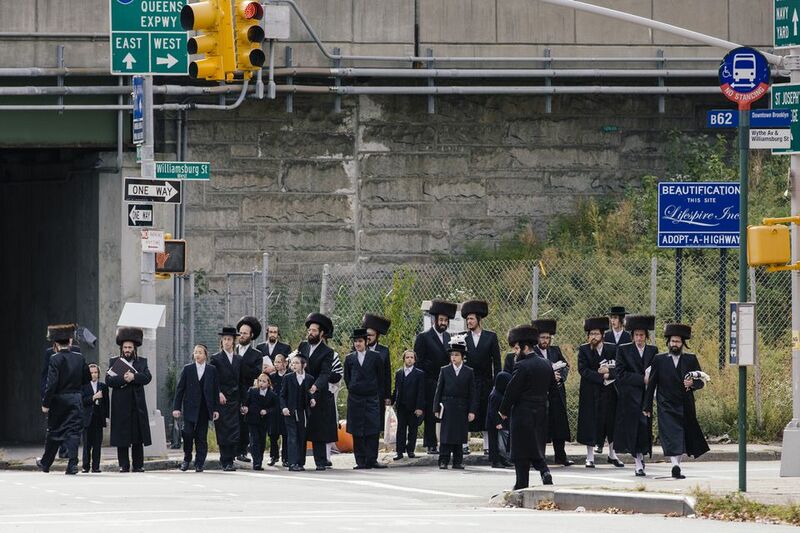 Most of the people you may encounter at Brooklyn's Hasidic neighborhoods—Williamsburg, Crown Heights, and Borough Park—will be dressed in the garb typical of their communities. That means modest, loose-fitting long dresses for girls and women, and generally black pants or suits for boys and men, who all wear yarmulkes or hats. You will not find any bars in these neighborhoods unless they are on the outskirts and owned by non-Hasidic people. Also note that all establishments are closed two hours before sunset on Friday, all day Saturday, and on Jewish holidays. Be aware that adult men and women do not wait in stores for each other to try on and model clothing; there's a separation of men and women. Do not eat or bring any food that is not kosher into a food establishment. It's best not to photograph people without their permission. Women visitors should, if possible, avoid low cut or tight fitting tops. Women visitors should not try to shake hands with local Orthodox men; they won't, and the particularly pious may even avoid eye contact. If you feel a bit lost and would like to know more about the culture, consider signing up for a tour. Popular tours include Tours by Frieda, a tour led by someone who "grew up in a very large Hasidic family and was educated and married according to the Satmar Hasidic tradition." Or take the Jewish Neighborhood tour with NY Like a Native. For a gay-friendly male tour, check out A Hasidic Tour of Williamsburg with Hebro, which offers at two-and-half-hour tour that includes a pastry tasting and a crash course in Yiddish. Note that Williamsburg isn't the only Hasidic neighborhood, but it's the most prominent and the one where they host tours. For those in search of Jewish culture and a place where you can enjoy many meals in Kosher restaurants, take the subway to Midwood. The stretch of Coney Island Avenue near Avenue J has numerous kosher restaurants and is also home to a gourmet kosher supermarket, Pomegranate, which is similar to a kosher Whole Foods. Other spots include incredible bakeries with delicious pastries like rugelach. Enjoy an overstuffed sandwich in one of New York's few remaining kosher Jewish delis at Essen New York Deli. Steps from the deli are two large Judaica stores, where you can peruse the aisles and pick up hard to find items.